THE WALKING DEAD "Conquer" Review | Warped Factor - Words in the Key of Geek. Raff reviews the season 5 finale of The Walking Dead. I have been waiting for this episode for months, partly because I thought the next big baddie was going to turn up at the end. Furthermore, I had been reading interview with the stars that said the episode was the saddest yet and I was terrified that we were going to lose one of our favourite characters. I thought either Daryl or Glenn was on the chopping board, and there were points in the episode when I thought that I was right! My heart was in my mouth from the moment the episode started, to the end. Do I think that this was the best season finale yet? No. I thought it was the best episode of the season, but other cliffhangers have been better. This wasn’t really a cliffhanger at all to be honest. It kinda summed a lot of angles up and raised even more questions! Well, I think that the wolves are the scavengers in the comic. They are a group of evils that just live terribly and they want to take everything that they can from other people and they will do anything to get it. I did think that their trap was well thought out and purely evil! They trapped poor Daryl and Aaron in a car, and Morgan had to save the day! I am happy that the wolves/scavengers are here because I know what is coming next and I expect a certain someone to make an appearance next season, very early in the season to be exact. This also means that they are not as caught up with the comics as I originally thought. I thought we might have caught up by next season and there would have been a lengthy wait between that season and the season after, but now there is plenty left. I actually think that the TV show might have another 5 seasons before it has caught up, and even if they do eventually catch up, there is a pretty big plot tool that they can just miss out so that they can change from the comic. They really could go anywhere. I didn’t really like Rick’s character looking back on last week’s episode because I thought that they were making him out to be a psycho, but now I think that he is the only one thinking clearly. I think Deanna now realises that as well. I don’t really get why Morgan was so shocked that Rick killed the stupid doctor, but then again, Morgan hasn’t been around much. 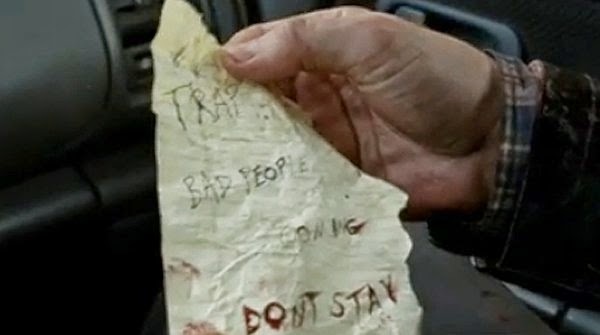 I loved it when Daryl opened the map and realised who Morgan was looking for. It proper gave me goosebumps, like everything was finally coming together and we were at a massive point in the story. I feel like I am at a point in my life where I am massively involved with my stories and nothing else matters. I love my stories. I seem to be going off on a tangent here but I’m sure you get my drift. In this episode, I kinda felt like I could see what the future would become for Alexandria. I feel like next season, Deanna will continue to rule but Rick will be the second in command and he will confer with Morgan, and to some extent, Michonne, Carol and Daryl. I know that our lot will take over and show these people how to live their lives. I do think they will tone themselves down though and they won’t seem as raw about surviving as they do now when they have only just arrived. Carol is badass and I love her. I am so happy that her storyline and character changed from the comics. She is just amazing and is actually one of my favourite characters in the show, when I don’t care for her in the comics. I kinda want her to bring me casserole. WHY IS HE STILL ALIVE WALKING DEAD, WHY? I hate him so much and I can’t believe he tried to kill Glenn. I did think Glenn was a goner though, which would have been a travesty! Where do I think they will pick up next year? I think there might be a time jump next year. Not much of one mind you, maybe a month or two. 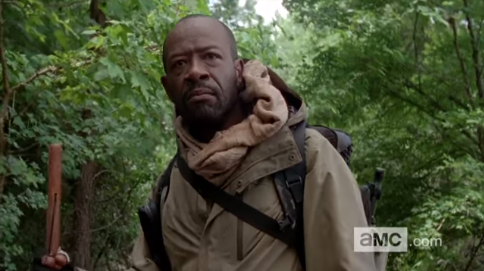 I think we will see Rick in a more significant position of power in the very first episode and I think he will still be having trouble with Morgan. I am hoping that by the mid season finale, the wolves will have been dealt with and something more sinister will have been introduced! I did enjoy this finale but it wasn’t as mind-blowing as some other mid-season finales. I was just expecting something more but I think this was because I thought we were further on in the timeline. I can’t wait for this to air. I have always wished that we could see what happened right at the moment that the apocalypse happened and now it seems my wish has been granted! Fear The Walking Dead will air this summer with 6 episodes and then will return for season 2. You will be seeing me review these episodes and I will be back with my reviews of The Walking Dead next season. In the meantime, keep an eye out for more from me with my reviews of Game of Thrones and The X Files. Raff is a massive Disney Geek, Thrill Seeker, Gamer and Comic Book reader. Basically she's an all round massive geek! Read more reviews from Raff at nerdasylumonline.com and follow her on Twitter, Facebook, Instagram & YouTube.